The Malta national team will host Spain for the fourth time as they will meet on Matchday two of the Euro 2020 qualifiers today. La Roja claimed the spoils in every fixture, boasting a perfect record on our soils. As kick-off draws near, we take a closer a look at some of the facts and figures which have characterised this tie throughout the six times they met. 1 – The scorer of Spain’s first ever goal against Malta was former Real Zaragoza striker Juan Antonio Senor. He opened the scoring in the 23rd minute of their 3-2 victory at the National Stadium on 15th May, 1983. The last scorer was Argentinian-born striker Juan Antonio Pizzi (formerly of Barcelona) who found the net in the 90th minute of their 4-0 victory at the Jose Rico Perez Stadium, Alicante, on 12th February, 1997. 1 – The only player to make his debut for his country during the previous six encounters was Sevilla goalkeeper Francisco Buyo in Spain’s 12-1 victory on 21st December, 1983, at the age of 25 years, 11 months a 8 days. 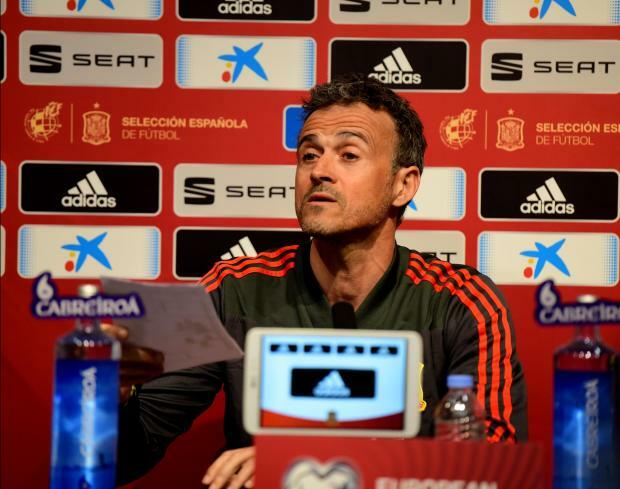 2 – Current Spain coach Luis Enrique played two times against Malta. The former Barcelona midfielder was involved in Spain’s 3-0 win at the National Stadium on 18th December, 1996 and in the 4-0 victory at the Jose Rico Perez Stadium in Alicante, on 12th February, 1997. 2 – Manchester City manager Pep Guardiola also played two times for Spain in previous meetings with Malta – incidentally in the same teams as Enrique. He also found the net for his country when opening the scoring in their 4-0 win at the Jose Rico Perez Stadium, in Alicante. 11 – The players who represented Malta in the six previous matches against Spain came from 11 clubs for a total of 75 caps – Hibernians (17) Ħamrun Spartans (14), Floriana and Valletta (11), Sliema Wanderers. (10), Birkirkara and Rabat Ajax (3), Brentford FC and Genk (2), Melita Eagles and Żurrieq (1). Spain was represented by 10 clubs with a total of 79 caps – Barcelona (25), Real Madrid (17), Athletico Bilbao (9), Real Betis (7), Valencia (5), Deportivo La Coruna and Real Sociedad (4), Real Zaragoza and Sevilla (3) and Sporting Gijon (2). Facts and figures courtesy of the Malta Football Association.